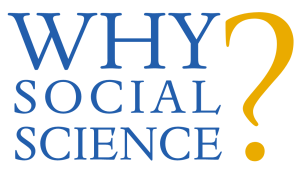 This week’s Why Social Science? post highlights the recent report from the National Academies of Sciences, Engineering, and Medicine, The Value of Social, Behavioral, and Economic Sciences to National Priorities. Produced at the request of the National Science Foundation (NSF), the report assesses the contributions of the social, behavioral, and economic (SBE) sciences to issues of national importance. Read it here and subscribe. In the weeks leading up to the Independence Day recess, several House Subcommittees began their work for fiscal year (FY) 2018 in earnest by marking up draft appropriation bills, including the Subcommittee on Agriculture, Rural Development, Food and Drug Administration, and Related Agencies (June 28) and the Subcommittee on Commerce, Justice, Science and Related Agencies (CJS) (June 29). While the text of the draft bills has been released, it is unlikely that their accompanying committee reports, which include more detailed information on funding and policy riders, will be made available until just before the bills are marked up by the full Appropriations Committee. Once that information is released, COSSA will produce a full analysis of both bills. Preliminary details on the House FY 2018 CJS and Agriculture bills follow. The draft FY 2018 CJS appropriations bill, which the subcommittee marked up on June 29, includes $7.3 billion for the National Science Foundation (NSF), a $133 million cut compared to FY 2017 but 10.3 percent more than the amount requested by the Trump Administration. Most of the subaccounts within the NSF budget, including the Research and Related Activities account, would be flat compared to FY 2017. The exception is NSF’s Major Research Equipment and Facilities Construction account, which would be cut by 62.8 percent compared to FY 2017. The bill’s proposal for the Census Bureau would provide it with $1.507 billion in FY 2018, an increase of $37 million more than the amount enacted in FY 2017 and $12.6 million above the Administration’s requested amount. Within that amount, $1.251 billion is provided for Periodic Censuses and Programs, which includes the 2020 Census, an increase of $51 million compared to FY 2017. The bill would also provide the Bureau’s Periodic Surveys and Programs with $256 million, a $14 million cut compared to the FY 2017 enacted level. The House’s FY 2018 appropriations bill for the U.S. Department of Agriculture (USDA), which was approved by the subcommittee on June 28, largely accepts the Administration’s proposed cuts to USDA statistical agencies (see COSSA’s full analysis of the President’s budget request). The bill would provide $76.8 million to the Economic Research Service (ERS), a roughly $10 million or 11.5 percent cut compared to FY 2017. This amount is 0.1 percent more than the amount requested by the President. The National Agricultural Statistics Service (NASS) would receive a total of $183.8 million, 1.2 percent less than the amount request by the Administration and an increase of 7.3 percent from FY 2017. NASS will conduct its Census of Agriculture in 2018 and the increase is part of a scheduled ramp-up. While the House bill would provide NASS overall with less than the amount requested by the Administration, it would allocate more of that money to Census of Agriculture activities, leaving even less funding available for NASS’ other Agricultural Estimates programs. While the total discretionary funding level proposed for the National Institute of Agriculture (NIFA) is not detailed in the draft legislation, the bill does specify a total of $830.4 million for NIFA’s Research and Education Programs, which include the Agriculture and Food Research Initiative (AFRI). This amount is a 2.3 percent cut from FY 2107, but 7.9 percent more than the President’s request. On June 30, John Thompson officially resigned as Director of the Census Bureau, after unexpectedly announcing his planned departure in May. Effective July 1, Ron Jarmin will become Acting Director of the Bureau. Jarmin has been with the Census Bureau since 1992 and currently serves as Associate Director for Economic Programs. Enrique Lamas, Associate Director for Demographic Programs, will serve as Acting Deputy Director and Chief Operating Officer, a position that has been vacant for several months. In addition, the Department of Commerce announced that Secretary Wilbur Ross has hired Arnold Jackson as a consultant. Jackson oversaw the 2010 Census as Associate Director for the Decennial Census. The National Center for Health Statistics (NCHS) has released the 40th edition of one of its flagship publications, Health, United States, the “report card” on the nation’s health. Health, United States, 2016 compiles federal data on a wide range of topics related to morbidity, mortality, health care utilization and access, health risk factors, prevention, health insurance, and personal health care expenditures. The 2016 edition includes a chartbook that highlights long-term trends over the past 40 years related to infant mortality, leading causes of death, life expectancy, poisoning deaths, and smoking. The complete report is available on the NCHS website. The Agency for Healthcare Research and Quality (AHRQ) is accepting nominations for potential new members of the National Advisory Council for Healthcare Research and Quality, the scientific advisory body for AHRQ. Candidates should have experience with “(1) the conduct of research, demonstration projects, and evaluations with respect to health care; (2) the fields of health care quality research or health care improvement; (3) the practice of medicine; (4) other health professions; (5) representing the private health care sector (including health plans, providers, and purchasers) or administrators of health care delivery systems; (6) the fields of health care economics, information systems, law, ethics, business, or public policy; and, (7) representing the interests of patients and consumers of health care.” More information is available in the Federal Register notice. The Department of Education issued a request for fiscal year (FY) 2017 applications for the Title VI International Research and Studies Program. The program supports surveys, studies, and development of instructional materials to improve and strengthen instruction in modern foreign languages, area studies, and other international fields. Priorities for funding in FY 2017 include research, surveys, or studies about U.S. school-based dual language immersion programs or about outcomes of international education programs for U.S. postsecondary students. This request for applications marks the first time the International Research and Studies Program has been funded since FY 2011. Applications are due by August 14, 2016. The full Federal Register announcement can be found here. The American Association for the Advancement of Science (AAAS) is seeking nominations for its annual AAAS Award for Scientific Freedom and Responsibility. The award recognizes scientists and engineers who have “acted to protect the public’s health, safety, or welfare; or focused public attention on important potential impacts of science and technology on society by their responsible participation in public policy debates; or established important new precedents in carrying out the social responsibilities or in defending the professional freedom of scientists and engineers.” Nominations are due by September 1, 2017. More information is available on the AAAS website.